Looking for clinical- or hospital-based informatics systems? You may want to also check out the LIS vendor page. A LIMS vendor is an entity (business, company, corporation, etc.) which provides laboratory information management system (LIMS) software or software packages. 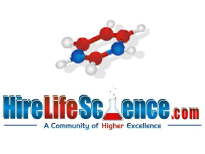 The LIMS software may be very generalized to handle a great number of laboratory situations, or it may be very specific to handle the needs of a certain field of study. Of course, every LIMS may have a different feature set based upon its intended focus. Note: The columns on all the following tables are sortable for your convenience. Simply click the small arrows in the title of each column to use this feature. Additionally, if you wish to sort by column X and then column Y, simply left-click the desired arrow for the first column to sort by, and then hold the Shift key and left-click the desired arrow for the second column to sort by. STARLIMS Yes United States Pricing and demonstration videos Formerly STARLIMS Corporation. Matrix Gemini No United States Pricing and demonstration videos North American distributor/support team was Zumatrix, Inc.
until it was absorbed into new entity Autoscribe Informatics, Inc.
SLims No Switzerland Demonstration videos Acquired by Agilent May 2018. LABTrack LIMS Yes United States EKM Corporation was previously a distributor of LABTrack. The criterion for a "key" vendor selling proprietary commercial LIMS software: the vendor's LIMSwiki page must have a cited (from a publicly-available source) price list. Those with demonstration videos are given higher preference; vendors ordered by number of demonstration videos. Matrix Gemini No United Kingdom Pricing and demonstration videos North American distributor/support team was Zumatrix, Inc.
LabVantage Solutions, Inc. LabVantage 8 Yes United States Pricing and demonstration videos Products formerly called SAPPHIRE and SQL*LIMS. Broughton Software Ltd. LabHQ Yes United Kingdom Pricing and demonstration videos Was formerly SkySource Ltd.
Progeny Software, LLC Progeny Clinical, Progeny LIMS Yes United States Pricing and demonstration videos Some pricing available for Clinical. acquired and transferred to Red Arrow. To find LIMS vendors by the industry or industries they serve, please see the categorical organization tool LIMS vendors by industry. Adifo NV BESTMIX LIMS No Belgium Former product Laboras now seems defunct. Advanced Technical Software uniLIME No Austria Former product q/LIME seems no longer supported. Agilent Technologies, Inc. iLab Operations Software No United States Agilent acquired the iLab core facility management software in 2016. Acquired Genohm SA in May 2018.
be offered as of 2013. New readyLIMS appeared in 2012. Assaynet Inc. Assaynet LIMS No Canada Demonstration videos Previous name for LIMS2010 was LIMS2003. Baytek International, Inc. cBLISS Yes United States Product line changed in summer 2017 with introduction of cBLISS. Bika Lab Systems (Pty) Ltd. Bika LIMS Yes South Africa Pricing Also available at SourceForge.net under GPL. Bode Cellmark Forensics, Inc. BodeLIMS No United States Formerly Bode Technology Group, Inc. Caliber Technologies Pvt. Ltd. CaliberLIMS, Caliber Pet-LIMS Yes India Caliber Pet-LIMS was previously Caliber Petro-LIMS. Dassault Systèmes SA BIOVIA LIMS No France Demonstration videos Dassault acquired Accelrys, Inc. on April 29, 2014. Elysia-raytest GmbH Argus RPS, Raphaela ACG No Germany Specializes in radiopharmaceutical LIMS. Forensic Advantage Systems Forensic Advantage No United States A division of TCSC, Inc.
GenoLogics Life Sciences Software Inc. BaseSpace Clarity LIMS Yes Canada Demonstration videos Geneus, Omix, and Proteus seem to have been phased out in 2011. GenoLogics LIMS was phased out in 2012, replaced by Clarity LIMS. InfoTrak Pty. Ltd. Oil Commander No Australia Previous product name was InfoTrak Oil. INTEGRIS LIMS GmbH iLIMS No Germany Changed company name from CSS LIMS GmbH in March 2017. Labsoft Tecnologia Ltda. myLIMS Yes Brazil Demonstration videos Not to be confused with Odysis SA's myLIMS product. Labworks, LLC Labworks No United States Bought LABWORKS from PerkinElmer Inc. in May 2016. Logiq IT LabPlus No Canada LabPlus formerly a product of LabPlus Technologies. Malvern Panalytical BV SPARCS No Netherlands Previously known as PANalytical BV. Mukon Informatics (Pty) Ltd. Skylims No South Africa Formerly Mukon CC. 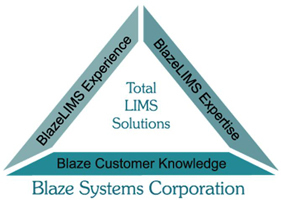 LIS marketed as a LIMS. Nippon Control System Corporation SimpDoc No Japan Discontinued SimpLabo in May or June 2018. Still offering SimpDoc, per company. Odysis SA myLIMS No Switzerland Not to be confused with Labsoft Tecnologia Limitada's myLIMS product. Open-source software solution Bika LIMS N/A N/A See Bika Lab Systems (Pty) Ltd. for more info. Open-source software solution caLIMS N/A N/A See National Cancer Institute for more info. Open-source software solution ClinViro N/A N/A More information found on [project page]. Open-source software solution GNomEx N/A N/A More information found on SourceForge.net. Open-source software solution GNU LIMS N/A N/A More information found on the project page. Open-source software solution LabKey Server N/A N/A More information found at LabKey Corporation. Open-source software solution LAMA N/A N/A More information found on the project website. Open-source software solution Leaf LIMS N/A N/A More information found on the project website. Open-source software solution MetaLIMS N/A N/A More information found on the project website. Open-source software solution Open-LIMS N/A N/A More information found on the project website. Open-source software solution openBIS N/A N/A More information found on the project website. Open-source software solution OpenELIS N/A N/A More information found on the project website. Open-source software solution OpenSpecimen N/A N/A More information found on the Krishagni Solutions Pvt. Ltd. page. Open-source software solution Screensaver HTS LIMS N/A N/A More information found on SourceForge.net. Open-source software solution SMITH N/A N/A More information found on Bitbucket. Pathology Data Systems Ltd. Ascentos Yes Switzerland Former products were PathData, ReproData, and ToxData. PerkinElmer Inc. OmicsOffice No United States Acquired from Integromics SL in July 2014. Persistent Systems Ltd. ChemLMS No United States Acquired from Agilent. Physion, LLC Ovation Yes United States Demonstration videos Has undergone many name changes, with "Ovation" the latest. LIMS for Light Stable Isotopes No United States Pricing The RSIL is part of the U.S. Geological Survey. RHAPSODY Software Solutions GmbH RHAPSODY LIMS No Germany Officially changed name from Softwaresysteme Keeve GmbH in February 2018. Sibio SAS custom LIMS No France Previous products were called SibioCLE and TraceLite. SpecPage AG SpecLIMS No Switzerland Previously known as Object Solutions Software AG. Sunquest Information Systems, Inc. Sunquest Mitogen No United States Mitogen is integration of UNIConnect and GeneInsight products. of applications, including NuGenesis Sample Management. WireWorks West, Inc. FermWorks No United States Formerly operated as Jova Solutions Inc.
Civil Systems, Inc. CSi LIMS United States Website content disappeared, e-mail servers went down summer 2017. Status unknown. Jova Solutions Inc. FermWorks United States Was actually DBA for WireWorks West, Inc., which retains rights to FermWorks. Not clear if Jova will become separate company. LINKSolutions SAA LINKS V3.3 LIMS Peru Website went dark in early 2017. Open-source software solution BonsaiLIMS N/A More information found on SourceForge.net. Open-source software solution SIGLa N/A More information found on the project website. Please see the inactive vendors page for inactive LIMS vendors. ↑ 1.0 1.1 1.2 "Autoscribe launches US operation". American Laboratory. CompareNetworks, Inc. 20 March 2012. http://www.americanlaboratory.com/Specialty/Forensics/617-News/37427-Autoscribe-launches-US-operation/. Retrieved 19 January 2016. ↑ 2.0 2.1 2.2 Barraud, E. (02 May 2018). "US group Agilent enters EPFL Innovation Park by acquiring Genohm". EPFL News. École polytechnique fédérale de Lausanne. https://actu.epfl.ch/news/us-group-agilent-enters-epfl-innovation-park-by-ac/. Retrieved 15 May 2018. ↑ 3.0 3.1 3.2 "Genohm SA closes its sale to Agilent Technologies Ltd". Kellerhals Carrard. 14 May 2018. https://www.kellerhals-carrard.ch/fr/genohm-sa-closes-its-sale-to-agilent-technologies-ltd-_content---1--8--460.html. Retrieved 15 May 2018. ↑ 4.0 4.1 "NuGenesis 8 Featuring LE Technologies" (PDF). Waters Corporation. http://www.waters.com/webassets/cms/library/docs/720003597en.pdf. Retrieved 20 April 2013. ↑ 5.0 5.1 Kirchen, R. (03 January 2014). "Dohmen acquires two Milwaukee firms". Milwaukee Business Journal. American City Business Journals, Inc. https://www.bizjournals.com/milwaukee/news/2014/01/03/dohmen-acquires-two-milwaukee-firms.html. Retrieved 24 August 2017. ↑ 6.0 6.1 "About: Who We Are". Red Arrow Labs, LLC. Archived from the original on 24 August 2017. https://web.archive.org/web/20170824175706/http://horizonlims.com/about/. Retrieved 24 August 2017. ↑ "Agilent Technologies Completes Asset Acquisition of iLab Solutions, a Leader in Cloud-Based Laboratory Management Software". Agilent Technologies, Inc. 01 August 2016. http://www.agilent.com/about/newsroom/presrel/2016/01aug-gp16015.html. Retrieved 20 April 2017. ↑ "AJ Blomesystem Launches New Laboratory Information Management System readyLIMS® on the Market". AJ Blomesystem GmbH. http://www.analytik-jena.de/en/company/press/press-releases/latest-news/article/detail/aj-blomesystem-launches-new-laboratory-information-management-system-readylims-on-the-market.html. Retrieved 10 April 2013. ↑ "Dassault Systèmes Successfully Completes Acquisition of Accelrys". Dassault Systèmes SA. 29 April 2014. http://www.3ds.com/press-releases/single/dassault-systemes-successfully-completes-acquisition-of-accelrys/. Retrieved 04 September 2014. ↑ "GenoLogics Unveils Clarity LIMS for CLIA-Certified Next Generation Sequencing Labs". 09 October 2012. http://www.genologics.com/press-release-oct-08-2012. Retrieved 10 April 2013. ↑ "Umfirmierung der CSS LIMS GmbH". INTEGRIS LIMS GmbH. 02 March 2017. https://www.ilims.de/news/detail/konsequente-strategie-umfirmierung-der-css-lims-gmbh/. Retrieved 18 October 2017. ↑ "LABWORKS LIMS Acquired from PerkinElmer by Labworks LLC – Future Never Looked Brighter". BusinessWire. Business Wire, Inc. 11 May 2016. http://www.businesswire.com/news/home/20160511005343/en/LABWORKS-LIMS-Acquired-PerkinElmer-Labworks-LLC-%E2%80%93. Retrieved 02 June 2016. ↑ "About Us". Integromics SL. Archived from the original on 01 February 2016. https://web-beta.archive.org/web/20160201051159/https://www.integromics.com/company/about-us/. Retrieved 26 April 2017. ↑ Carazo, J.-M.. "Jose-Maria Carazo personal page". Centro Nacional de Biotecnología. Archived from the original on 21 October 2016. https://web-beta.archive.org/web/20161021071049/http://biocomp.cnb.csic.es:80/carazo. Retrieved 26 April 2017. ↑ "PerkinElmer Inks Software Distribution Agreement with Integromics". GenomeWeb. 25 June 2013. https://www.genomeweb.com/informatics/perkinelmer-inks-software-distribution-agreement-integromics. Retrieved 04 October 2016. ↑ "Persistent system to acquire french software business of Agilent Technologies". The Economic Times. 31 May 2011. http://articles.economictimes.indiatimes.com/2011-05-31/news/29604386_1_persistent-systems-life-sciences-anand-deshpande. Retrieved 10 April 2013. ↑ "RHAPSODY Software Solutions GmbH, Ibbenbüren". Cylex. S.C Cylex Tehnologia Informatiei International S.N.C. https://web2.cylex.de/firma-home/rhapsody-software-solutions-gmbh-1447434.html. Retrieved 15 January 2019. ↑ "Softwaresysteme Keeve GmbH". online-handelregister.de. Registeranzeiger GmbH. https://www.online-handelsregister.de/handelsregisterauszug/nw/Steinfurt/S/Softwaresysteme+Keeve+GmbH/1798127. Retrieved 15 January 2019. ↑ "LABVANTAGE Acquires Long-Time Partner Software Point". LABVANTAGE Solutions, Inc. 5 April 2011. http://www.labvantage.com/newsroom/index.php/2011/04/labvantage-acquires-long-time-partner-software-point/. Retrieved 2 January 2012. ↑ "Software Point - News". Software Point Oy. 21 December 2012. http://www.softwarepoint.com/news.html. Retrieved 10 April 2013. ↑ "Object Solutions". SpecPage plc. Archived from the original on 15 August 2015. https://web.archive.org/web/20150815162117/https://www.objectsolutions.eu/. Retrieved 27 July 2016. ↑ "Press". SpecPage plc. Archived from the original on 10 July 2016. https://web.archive.org/web/20160710173713/https://www.specpage.com/about-us/press/#002845730ff39021e. Retrieved 27 July 2016. This page has been accessed 209,335 times.